(September 23, 2013) Insurance is the last refuge of the global warming true believer. Climate change models that claim the world will suffer great harm in future are “close to useless,” pronounces a prestigious new study by Robert S. Pindyck, a physicist, engineer, professor of Economics and Finance at MIT’s Sloan School of Management and true believer in perils from global warming. Pindyck is speaking of the gold standard in climate change models — Integrated Assessment Models (IAM), which combine data from both climate models and economic models. So, it’s come down to this — we now have widespread agreement from numerous true believers that the models — the only source of scary scenarios — are junk. But the true believers want us to take action on climate change regardless, out of prudence, on the mere possibility that the sky could be falling. It’s an “insurance policy,” Pindyck explains, with other true believers nodding in agreement. This is a peculiar species of insurance policy, one where the premiums that we’re being asked to pay total literally trillions of dollars, where the perils that we’re being protected against are ill- or undefined, and where — should any of the perils ever materialize — no benefits will be paid out to us policyholders. This is also a peculiar species of insurance because the insurance industry has traditionally insured on the basis of past experience — this is the tradecraft of actuaries, who ground their assessment of risks on the likelihood that “actual” events that have occurred will reoccur. But in all of known human history — some 5,000 years — and even what’s known of human pre-history — some 200,000 years — none of the many periods of global warming that we’re aware of has led to human harm. To the contrary, without exception all past periods of warming have been accompanied by advances in human progress. This was true in the Roman warming, at the time of Christ, in the Medieval warming of 1,000 years ago, which ushered us out of the Dark Ages, and in the warming of the last century which has seen unprecedented material wealth and a near-doubling of our lifespans. Indeed, most scientists I’m aware of — some 32,000 of them — believe that carbon dioxide and the natural global warming we’ve recently experienced provide mankind with benefits, not harms, as no self-respecting insurance actuary could deny. But if we’re to conjure up a new species of insurance based on blue-sky speculation of catastrophe — let’s call it Chicken Little insurance — surely we can do better than to grasp at climate change. 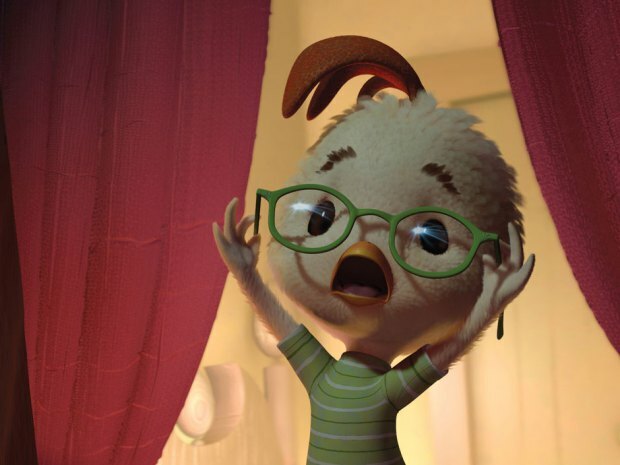 Chicken Little’s fear — that the sky was falling — was not without explanation. In Earth’s history and even in human history, there are numerous examples of heavenly bodies colliding with Earth, some leading to catastrophe. Earlier this year, a meteor exploded over eastern Russia with a force estimated at 20 to 30 Hiroshima bombs, causing some 1,500 injuries and damaging 7,200 buildings. This meteor caught scientists unawares. We do not yet know how to track such heavenly bodies, despite their potential for cataclysm. Rather than spending a few trillion on an insurance policy countering carbon dioxide, a gas most scientists consider beneficial, a few million countering unannounced visits by asteroids and meteors seems far more prudent. Or maybe better protect against another Great Plague or other pandemics that periodically threaten large populations. Just one century ago, an estimated 20 to 40 million died in the Spanish Flu. We have no reason to think we are invulnerable today, given globalization, agricultural and medical practices that have not withstood the test of time. There are no shortage of low-probability, high-consequence perils that could befall us at any time. If we must indulge a human need to worry about the unknown, let’s at least pick fears worthy of trembling over, that at least offer some plausibility — no matter how remote — that they can befall us in future. And let’s at least keep the cost of insuring against them to a minimum. Global warming policies have already impoverished millions by converting foodlands into fuel lands to create ethanol, and by inflating the cost of electricity, making fuel poverty a household term in Europe. The greatest peril of all is spending trillions on faith-based “insurance policies” all-but-certain to harm us. Lawrence Solomon is executive director of Energy Probe, a Toronto-based environmental group. This article was first published by the National Post. Support Energy Probe’s environmental work by clicking here. This entry was posted in Climate Change, Costs, Benefits and Risks, Energy Probe News and tagged Climate Change, Global Warming, insurance, Integrated Assessment Models (IAM), Lawrence Solomon. Bookmark the permalink.